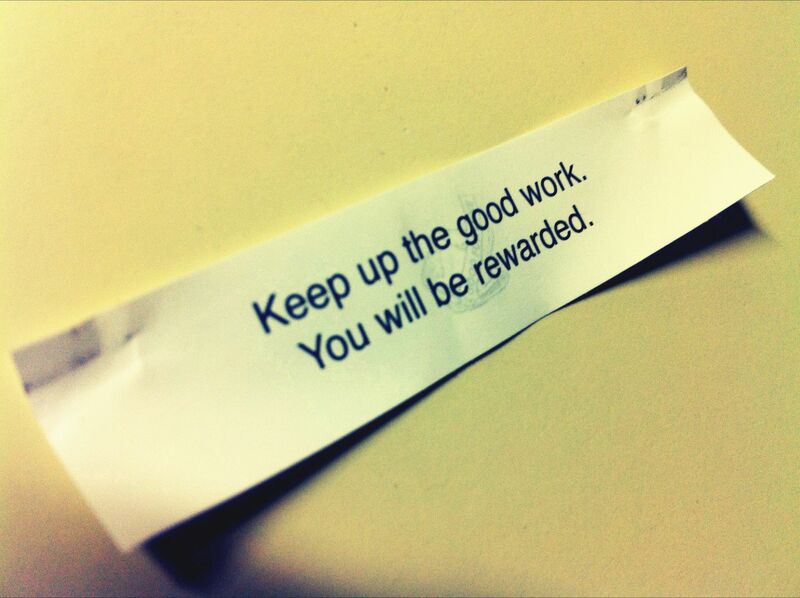 I love fortune cookies. Now, I’m not a superstitious person by any means, but I always get two cookies when I visit my friendly, neighborhood Chinese restaurant Why? Well, I just like to have a back-up fortune, in case I don’t like the first one. That said, I’ve seen many, many kitschy, quirky fortune cookies in my day. And when the message stands out for one reason or another, I hold onto it. You were hired for a reason. It might be your well-connected network, your stellar background, or your rockstar history of producing results that sealed the deal; probably a combination of all three! Whatever the reason, your hiring manager saw something in YOU and recognized that YOU would be a valuable asset to the team. Congratulations! Now is the time to showcase those talents and affirm to your manager that s/he made the right choice in choosing you for the role. Find opportunities to make a difference early…and often! It’s not enough to simply bring your ideas to the table. It takes time to get everyone on board to embrace change. Market your ideas. Seek out your stakeholders. SELL the value of your ideas. Getting a champion and gaining buy-in is critical and will help you effectively use your energy to implement those ideas. Once you get people on board with your project or idea, you can spend your time putting it into action, rather than spinning your wheels trying to get others to share your vision. As you get started in your new job, there is always something to learn. You are being immersed in the new culture, learning about people, projects, and processes, and figuring out “how things work”. There is never a dull moment. Be proactive in this discovery phase. Follow this link to an earlier post entitled, “20 Questions New Employees Should Be Asking Managers.” We don’t know what we don’t know. This list of discussion-starters will help guide you through your organization and serve as a gateway for open communication with your new manager. Enjoy!